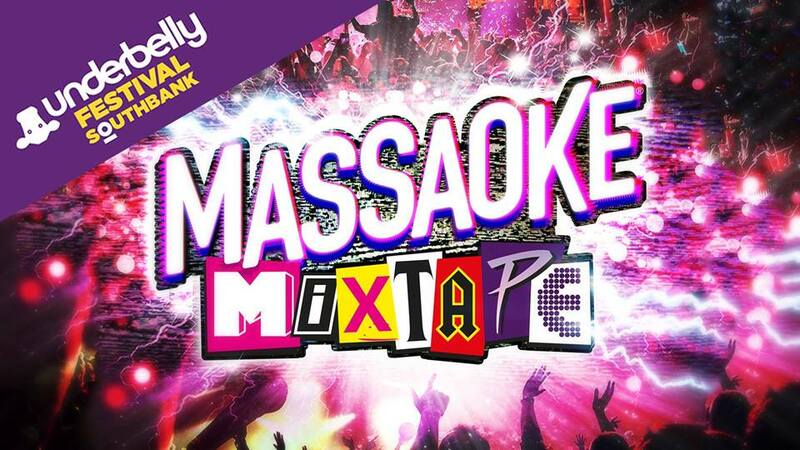 Massaoke, THE number one late-night party are coming to Underbelly Festival on London's South Bank with their sell out Edinburgh Fringe show - MASSAOKE MIXTAPE on May 10th 2019. Create the ultimate mixtape with the sensational Massaoke band, taking you on a glittering, spandex-clad journey through all your favourite singalong hits, with mash-ups, megamixes and more. They’ve got something for everyone, so whether you like to rock out, rave-on or pull your finest pop star poses, all you need to do is bring the sing! Live band... giant lyrics... everyone sings together!